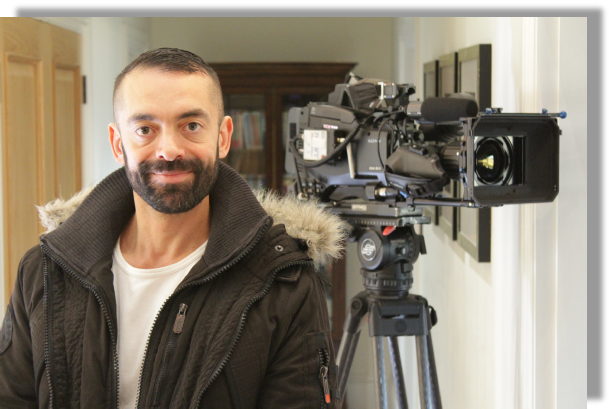 British born, Max Barber is a new face in the world of presenting, having cut his teeth on writing and fronting items on LGBT (Lesbian, Gay, Bisexual, Transgender) arts, history and features for PINK 60 NEWS / OUT TV in Canada & a number of TV pilots. Crucially, he has a long career behind the camera as a broadcast producer-director and an independent filmmaker. This puts him in an excellent position to know about the demands and skills of a location presenter - he’s directed plenty of them! Having explored the more edgy & controversial side of life through his programming making and documentaries, Max’s areas of interest and knowledge are focused on LGBT & human rights issues, sexuality, gender identity, disability and the more off-beat & underground corners of society. He’s also a big movie buff and a huge sci-fi geek so knows his Klingon from his Cardassian! Max has a friendly and down-to-earth approach to presenting, and always a touch of humour amongst even the most complex and tricky of subject matter.